Any lump persisting for more than 3 weeks should be thoroughly investigated to exclude a cancerous cause. There are a wide range of causes of neck lumps from viruses, to bacterial infections in the skin, scalp, mouth or throat. The diagnosis can usually be made considering your age and other risk factors which will help to narrow the possible causes. We offer a rapid access diagnostic service with Consultants who specialise in Head & Neck Ultrasound and Cytopathology (looking at cells from fluid samples) as well as a comprehensive examination of the head & neck by your surgeon. 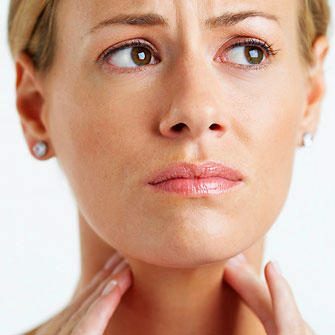 Most neck lumps are from the salivary glands in the neck, lymph nodes which may reactionary (to infection), thyroid gland or cancers that have spread to the neck. You will need to have a full set of investigations so that your surgeon can determine the cause. This will also include a thorough blood test work up. We see over 100 patients each year with neck lumps and approximately 10% will proceed to have treatment for cancerous lumps. This means that 90% of the lumps are benign and patients can therefore be reassured as soon as possible after test results.